Sharon Skehill has worked in the field of Early Years’ Education and Care for 12 years, as Room Leader and Manager of a full day care facility in Galway. Sharon began her academic studies completing a BA in NUIG, followed by a Masters of Philosophy in Irish Studies. Following on from her work as a Resource Teacher for Travellers, she returned to education to complete a Diploma in Community Development and a Diploma in Adult Teaching and Learning with NUIG. 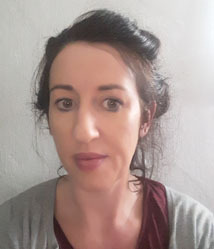 Sharon has spent several years teaching the QQI Level 5 and 6 ECCE course with Galway Roscommon ETB and Early Childhood Ireland, and completed a Masters in Childhood and Adolescent Studies in 2014. Sharon has presented her research on Training Experiences of Early Years’ Practitioners, as well as the DES Inspection Process at ECI Conferences over the past couple of years. She is currently pursuing a PhD in Education with Mary Immaculate College.